This year has seen a ton of change around these parts – most notably, the rebranding of my blog from Better in Bulk to Food Fun Family in November. At the beginning of each new year, I love to look back at what I’ve accomplished and all that I’ve posted throughout the past 12 months. I have posted a few other “best of” the year recipe round ups, so to keep with that tradition, here are the top 10 main dish recipes from Food Fun Family from 2015. By the looks of this list, I was in a sausage and Tex Mex mood quite a bit last year! The clear winner in our home (ie – the recipe that the kids have asked for over and over again) is the Tex Mex Sausage Quinoa Skillet – and it’s a perfect example of my cast iron skillet craze this past year. I am addicted to cooking in cast iron now! The close second place meal is the slow cooker barbacoa, which is crazy-delicious! 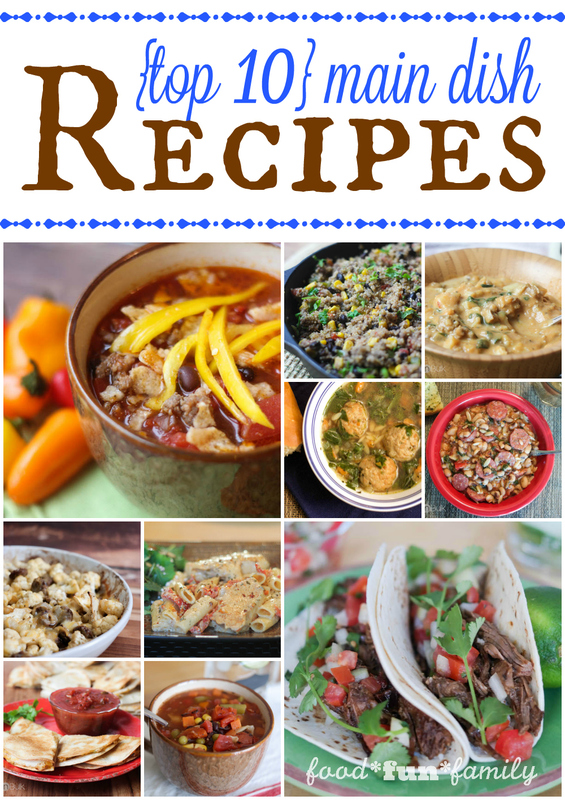 Which of these recipes sounds best to you? And what kinds of recipes would you like to see more of this coming year? I tend to be more creative when it comes to baked goods and other sweet treats, but I would love to expand my family’s repertoire of dinner meals – especially healthy dinners! – in 2016.